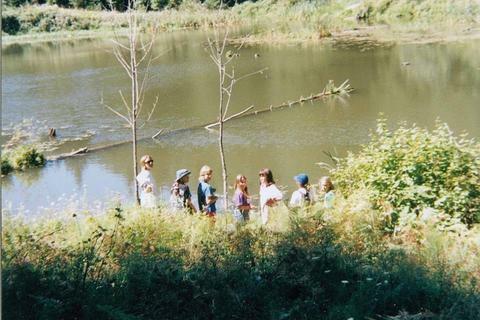 Welcome to the website for Friends of Camp Arrowhead at Wind Mountain, a non-profit organization which helps promote Camp Arrowhead, a property of Girl Scouts of Oregon and Southwest Washington. This site was originally set up to communicate information about the effort to save Camp Arrowhead from being sold in 2007-2008. The good news is that we were successful — the camp was not sold, and has since re-opened for both summer and troop camping! Archives of this information are still available on this site. We are not affiliated with either Girl Scouts of Oregon and Southwest Washington or Girl Scouts of the United States of America, and this site is neither endorsed nor maintained by either organization. You can visit the Girl Scouts of Oregon and Southwest Washington resident camp page to get official council information, view the current camp brochure, or register a child for Girl Scout camp.